Expired 11mo ago . Last validated 1y ago . Used 10 times. Gabriela Mujica This great deal works as described. 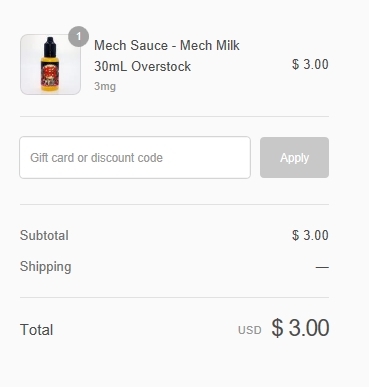 You can save $10 on Fuggin Vapor 30 ml Mech Sauce. Devon No code is required. The product is marked down at $3 from $13, So you are saving $10 total. Once you input your address and select shipping method it will add shipping cost on so your total may go up.